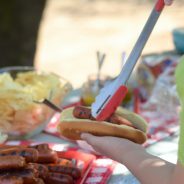 Are you having a backyard cookout or a fun beach party this year? 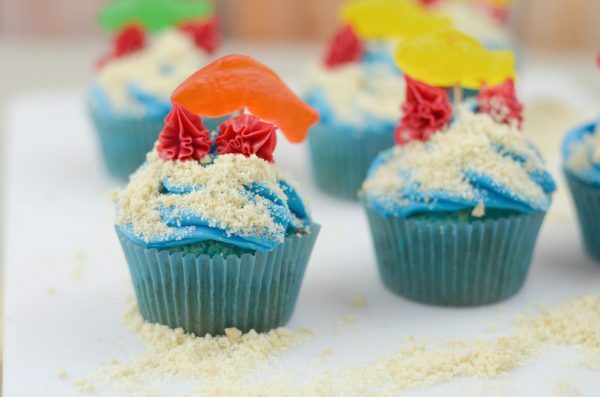 If so then these 11 Ocean Themed Foods plus these Ocean Friends Cupcakes will fit your theme perfectly! Do you ever have a day where you just need it to end? 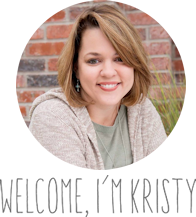 Maybe you need to recharge and start over? That’s been a few of my days this month. 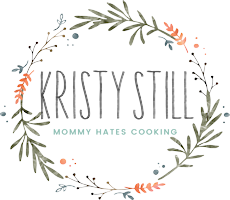 Our daughter has taken up the not so fun habit of throwing major temper tantrums. This is relatively new to me, our son never really threw tantrums much. She’s 3 1/2 now and the age our son was when we had her, he was super helpful…she is a whole other breed. I’m going to keep telling myself that age 4 will be better. 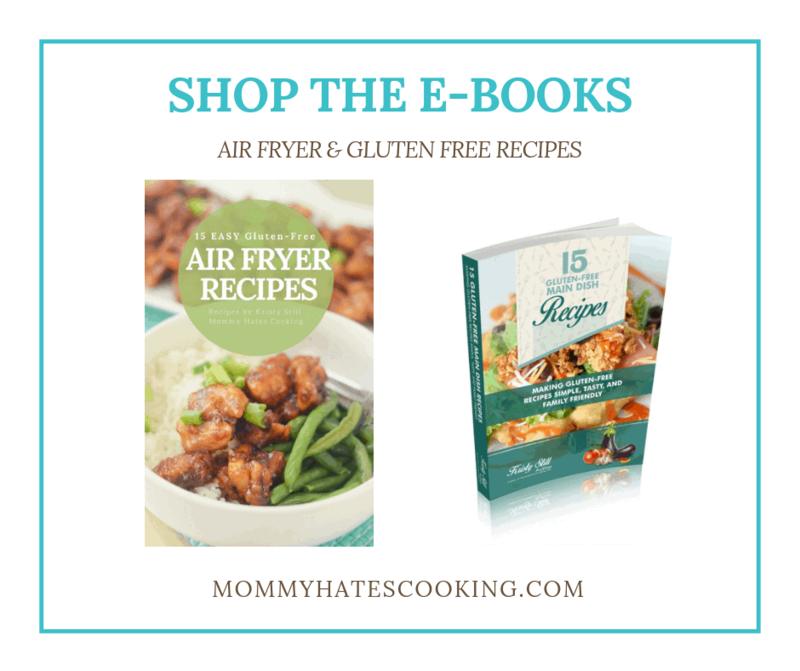 What do you do when your daughter continues to throw tantrums all day and you need to recharge? 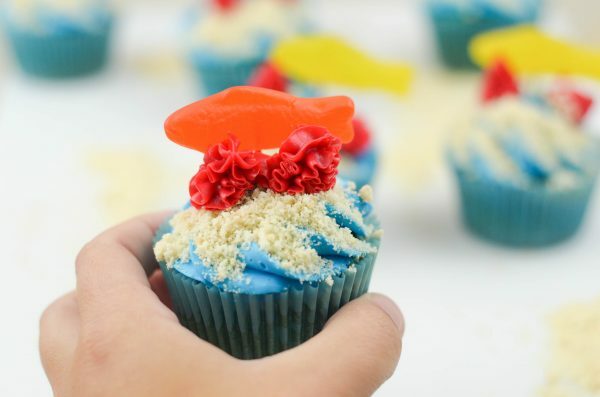 You find your way to the kitchen and make these Ocean Friends Cupcakes! Yep, that’s exactly what I did. 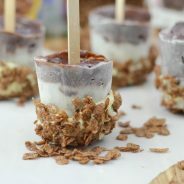 I was in the kitchen making these while listening to my music and singing. My son kept coming downstairs from bed and laughing at me, let’s face it, mama has to do what mama has to do. He was lucky I was still singing after the day we had. 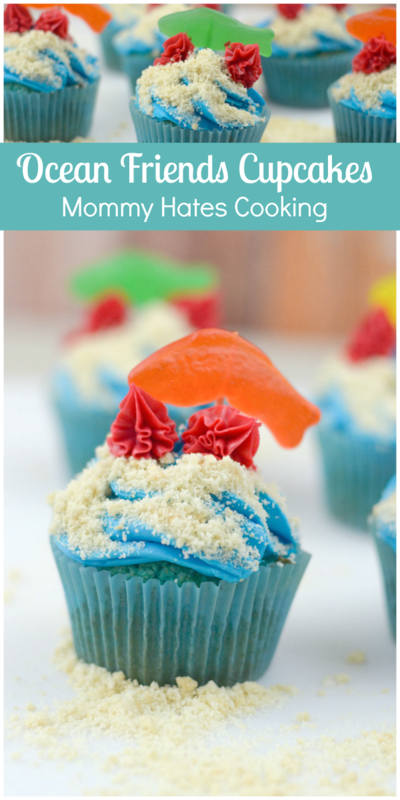 Regardless though, we do love hosting fun parties throughout the summer and we go to the lake a lot so I thought these little cupcakes would be fun to make. I simply used a blue cake mix, blue frosting, and then topped it with crushed golden Oreo cookies. 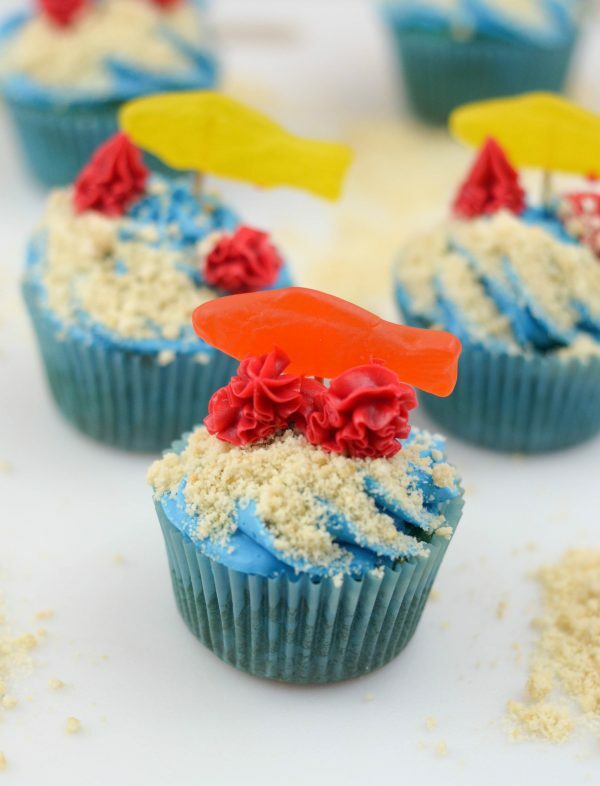 Then, you add a Swedish Fish and a few drops of red frosting…viola, Ocean Friends Cupcakes! My kids absolutely loved these. My husband got involved too and shaped the fish to that it looked like it was jumping out of the water. 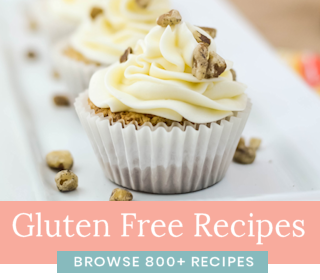 These are easy to replicate in a gluten-free version too if that is a need. 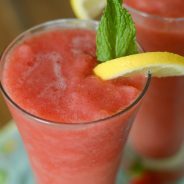 Now, it’s time to really get creative with these 11 Ocean Themed Recipes! Prepare the cupcakes as instructed and let fully cool. Once cooled, use a Wilton 1M tip to frost the cupcakes. Place about 1/4 of the cookies into a food processor and blend to a fine consistency, similar to sand. Sprinkle the cookies on half of the top of the frosted cupcake. 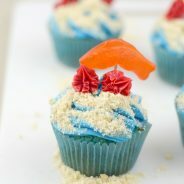 Use a toothpick to place through the middle of the Swedish fish and then place on the cupcake wherever you would prefer. 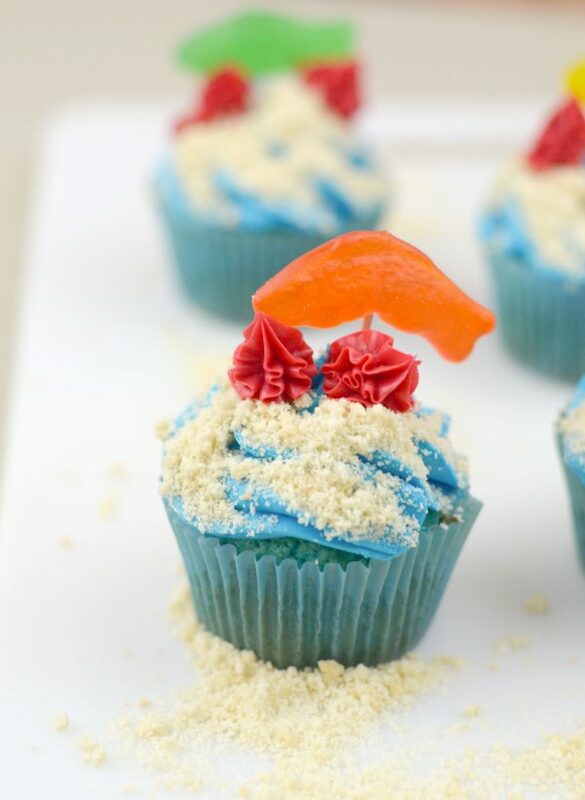 Lastly, do the coral with the ready to decorate icing.